So most recently in my Trying to Conceive (TTC) Series I have shared “The end of one chapter” “Our Grief Process” and then as part of a new chapter “Is this Real?” and “Sharing our good fortune with Benjamin” – what a juxtaposition of emotion. I truly can’t speak to all trying to conceive situations, no one can. But boy were my emotions all over the place. Pregnancy #2 – Cashel.Rock literally had a start date that dated to my miscarriage. Many would ask, because I was so huge, (and yes I was huge – partially due to how I carry and then at the end due to a slow development of post partum preeclampsia) how I knew when my due date was or if I could be further along. Little did they know that at times that added salt to a recent wound. I knew. I knew because I had miscarried and within two weeks Cashel.Rock was conceived. But, you don’t want to just start into a long diatribe about how your current pregnancy begins the day you miscarried your first child. It would make anyone feel bad. So how was I to feel? Plus so many acted as if this pregnancy was such a “blessing” because it happened so quickly after a miscarriage and in some ways I felt like to wrote off the first pregnancy or the challenges we had (that not many knew about) in getting pregnant at all. I read a book on grief and loss during my first trimester and in some ways that may have been dangerously close to insane. However, I needed to grieve and for it be okay. I did this more privately then I do most things. I also needed to celebrate the current pregnancy and growing little one. I used a Belly Book to do that. In some ways even that was hard because I had filled out one for Baby Jacobson (Pregnancy #1) up until we got the “bad news” – I saved it. Again, because I needed to. 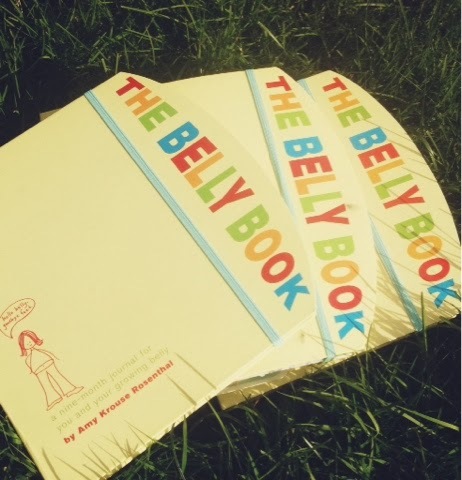 It took me a few weeks to be ready to start the next Belly Book, as I was afraid. Afraid it would only get partially filled out like the first, afraid I’d have to put it in my hope chest with the other one. And yet, I dove in and started one. I found a way to celebrate. Taking pictures with random veggies the size of the baby, and chronicling all the happenings helped me rejoice in my sadness. There were lots of tears – tears of sadness for the one I wouldn’t know and tears of joy for the one I hoped to meet. Another thing that makes this all so tough…. Assumptions. We all do it, and really we can’t help it. People saw the veggie photos or saw my growing belly – they were public and visible. They didn’t see the loss, the grief, or the internal challenges I was facing. This is where my motto of authenticity and transparency helps. I did have some I shared with in person, I blogged (didn’t publish), and I was honest with myself and grew. I think knowing when and with whom to share is important even when you are striving to be transparent. However, it doesn’t take away that not everyone will know what you are going through and not everyone will be sensitive to what your story may be. Nor can they be.